Over the last 27 years, Vogel Alcove’s Annual Arts Performance Event has become a can’t-miss occasion in the community, and the lineup of world-class, live entertainment has been a hallmark of the event. Past notable performers have included The Pointer Sisters, Idina Menzel, Diana Ross, Gladys Knight, Sarah McLachlan, Sheryl Crow, Kenny Loggins and Earth, Wind & Fire. 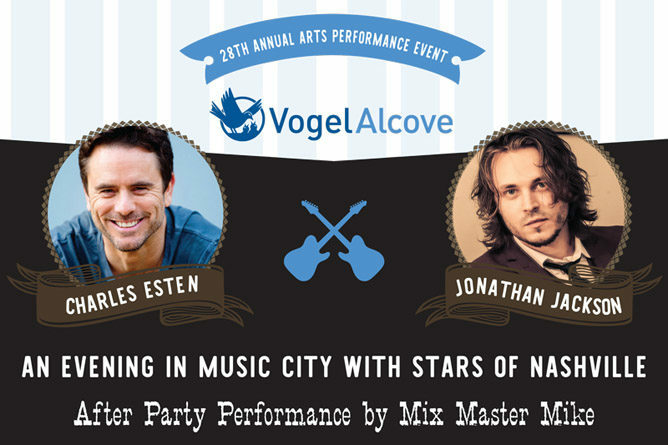 This year, chairs Allen Nye, Chief Executive Officer at Oncor and Matt Henry, Senior Vice-President, General Counsel, and Secretary at Oncor, are excited to welcome stars from the hit television show Nashville, Charles Esten and Jonathan Jackson. Together Esten and Jackson have sold-out shows all over the U.S. and U.K. They will be joined by a surprise special guest and will perform music from the series as well as their own original material. Nashville airs in 225 territories worldwide and has been nominated for several music awards. Since its debut, the show has inspired 22 soundtracks, which have collectively sold more than one million album units and over 5 million single-track downloads to date. And just recently, this country music drama is being adapted as a Broadway musical produced by Scott Delman’s Blue Spruce Productions. 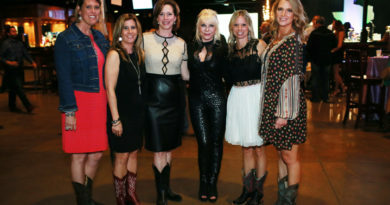 The 28th Annual Arts Performance Event: An Evening in Music City with Stars of Nashville benefiting Vogel Alcove happens on Saturday, April 13, 2019 at the Omni Dallas Hotel. The evening begins at 6:00 p.m. with a cocktail reception where guests mingle and enjoy a special art exhibit curated especially for this event. The opening of the doors to the Dallas ballroom will reveal a landscape of alluring decorations in vibrant colors and inviting designs. A three-course dinner will be served as a meal of elegantly-crafted cuisine. Back by popular demand, all sponsorships include entry into the after party performance by DJ Mix Master Mike of the Beastie Boys. Sponsors and Underwriters as of March 13, 2019 include Premier Sponsor: McKool Smith. Presenting Sponsors: Susan and Laurence Hirsch/The Hirsch Family Foundation, Kimberly-Clark Corporation, Stacey and Don Kivowitz, Amy and Mark Kovac, Kerri & Rick Lacher/Houlihan Lokey, Oliver Wyman/Partners & Employees, Omni Dallas Hotel, Vinson & Elkins LLP, Weil, Gotshal & Manges LLP, Winston & Strawn LLP. Advocate Sponsors: Jim Chadwick/Holland & Knight LLP, Foley Gardere, Rita Sue and Alan Gold, MoneyGram International, Perkins Coie LLP, Jackie and Travis Pittman, Ricki and Andy Rabin, Lisa and Bob Segert. Sponsorships and underwriting are available beginning at $1,500 up to $10,000. A single sponsorship ticket is $750. Attire is Cowboy Chic. 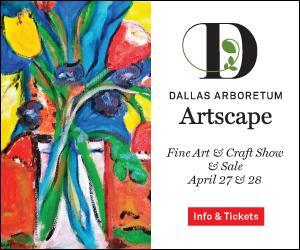 Visit the website for tickets and updates: https://vogelalcove.org/artsevent For sponsorships and underwriting, contact Sharon Russell, srussell@vogelalcove.org or call 214-368-8686. 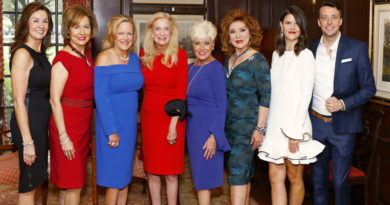 Proceeds from this event benefit Vogel Alcove, an early childhood education and Parent Opportunity Center that is working to Break the Cycle of Poverty for homeless children and their families in Dallas. Vogel Alcove provides educational, developmental and therapeutic services to children and families affected by homelessness. Using its “Two-Generational” approach to solving homelessness, services are provided to client families through the early childhood education program and Parent Opportunity Department. All of these services are provided for free, in a safe and nurturing school environment, in which the families can learn and grow together. Karen R. Hughes is President & CEO of Vogel Alcove and John C. Wander is chair of the Board of Directors. Vogel Alcove is a 501c3 nonprofit agency which provides therapeutic early childhood services, school-age programs and family support services for homeless children ages six weeks to 12 years old, and their families. 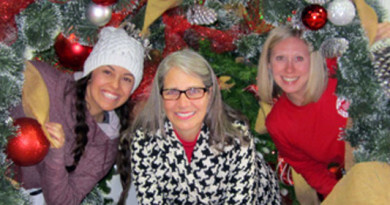 Fueled by extensive research from the Casey Foundation, Vogel Alcove features “two-generation” approach to support homeless children and their parents. Through this strategic initiative, Vogel Alcove has committed to ensuring that our work truly helps homeless families break the cycle of poverty. These services are offered through the Parent Opportunity Department and include one-on-one counseling from a team of licensed clinical social workers, as well as Job Ready, Career Ready, and Support System programming in the Parent Opportunity Center lab. Since 1987, the agency has served more than 16,000 Dallas-area homeless children. We’re on a mission to help young children, and their families, overcome the lasting and traumatic effects of homelessness. It is our vision that every child in our community has a home, a self-sufficient family and a foundation for success in school and life. Sharon Adams, Adams Communications Public Relations, is honored to represent Vogel Alcove.